The UN chief’s praise for the work of Blue Helmets and other peacekeeping personnel was part of his address to Heads of State gathered at the African Union Summit in Addis Ababa, Ethiopia, on Sunday. 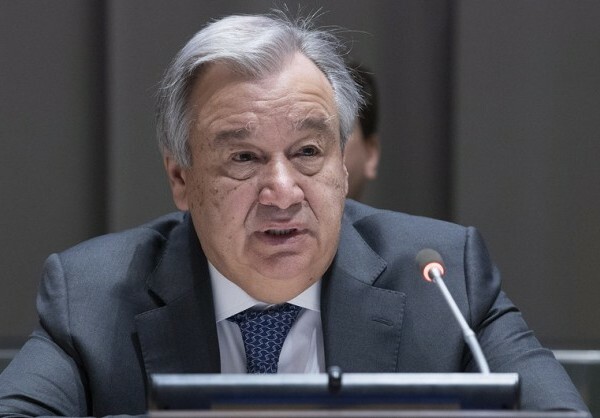 Guterres was speaking the day after three Ethiopian peacekeepers serving in the United Mission in Abyei were killed, when a military helicopter carrying troops crashed in the Mission compound whilst on a routine operation. Ten passengers were injured, and three are reportedly in critical condition. Addressing the fact that African countries provide almost half of all UN peacekeeping troops – including some two-thirds of all women peacekeepers and the majority of UN police – the UN chief went on to acknowledge the sacrifice of African soldiers in the African Union Mission in Somalia (AMISOM); the G5 joint force, which counters violent extremism and terrorism in the Sahel region of North Africa; and the Multinational Joint Task Force in the Lake Chad Basin, set up to restore security in areas of the Lake Chad Basin affected by the Boko Haram terror group. United Nations peacekeeping operations, the UN chief added, are “increasingly being called into areas where there is no peace to keep,” explaining that this is why he has repeatedly expressed support for peace enforcement and counter-terrorism operations, and launched the Action for Peacekeeping initiative in 2018, which aims to provide UN missions with the means to be more effective, better equipped, safer and more robust. Guterres went on to impress upon his audience the “critical” role that women’s “equality, meaningful participation and leadership” have to play in ensuring lasting peace, citing the invaluable contributions made by FewWise – the African Women’s Network on Mediation – and the African Women Leaders Network, describing both groups as important initiatives for joint UN-AU collaboration. The Secretary-General said that he had been determined from his first day in office to been determined to forge ever closer ties between the United Nations and Africa, noting a significant improvement in strategic cooperation between the UN and the African Union.